Kelvin Rujano presents his group’s Mr. Potato Head, a group activity the students worked together to create. 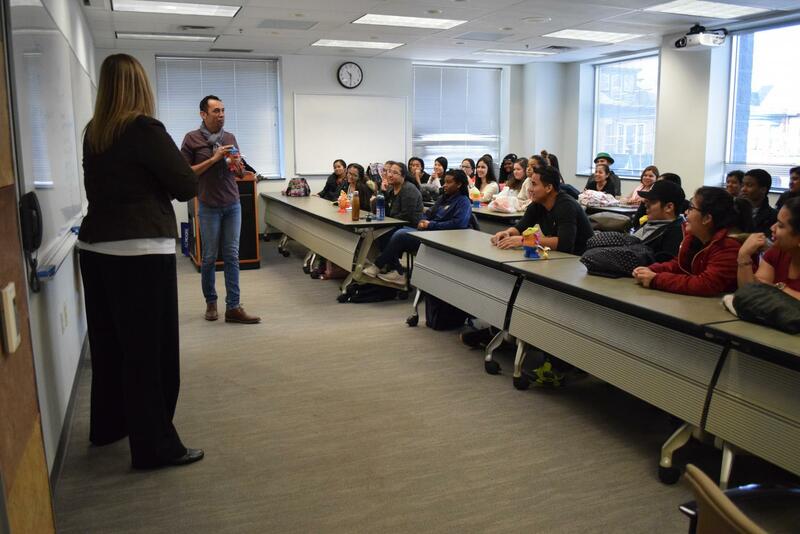 The Department of Diversity and Inclusion hosted the Conversation About Self-Love event in UCOM at 11 a.m. on March 14. The students that attended the event discussed a variety of topics that had to deal with self-love and being true to who you are as a person. The goal of the event was to promote and encourage empowerment and inner strength. Debbie Scheibler, Director of Residence life at Wilkes University led the event and talked about how every single person is worthy of self love and feeling good about themselves, even if it is not how society says they should. Sometimes it can be the situations or places we are born in to and other times, it is the experiences that we have throughout our lives that can make it difficult to love and be our true selves. 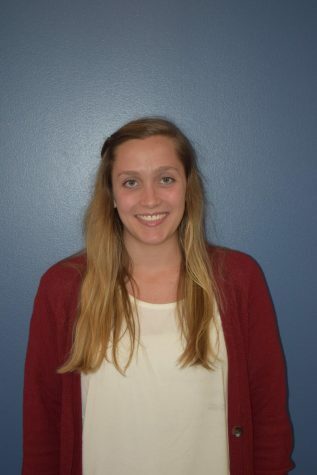 “It’s interesting how you can communicate deep and thoughtful messages by just doing a simple activity,” said Danay Rosa, senior Wilkes University student. Throughout the majority of the event, the attendees worked in groups on an activity led by Scheibler. She used the game Mr. Potato Head to have the students build their potatoes the way that they think society wants it to be. Each group presented their potatoes and gave them names as well as personalities. Most of the potatoes were middle aged teachers in heterozygous relationships with children and they also dressed them so that they were ‘put together’ with matching clothing and accessories. There was one group that put a hat on their potato person’s bald head. “Men get shamed for not having hair,” said Rosa. After each group finished presenting their potato, Scheibler talked about how people conform to societal expectations about who they should be and how they should act, rather than loving themselves and expressing themselves as they truly are. Scheibler then asked the groups to make their potatoes they way that they wish they could show up everyday. “When we get up everyday, we are the potato head,” said Scheibler. Everyone in the room perked up and went to work immediately. There was laughter and love throughout the room as groups were able to express what they like, whether that be mismatched clothing or a change in the personality of the potato. You could tell that each person added a little bit of themselves. 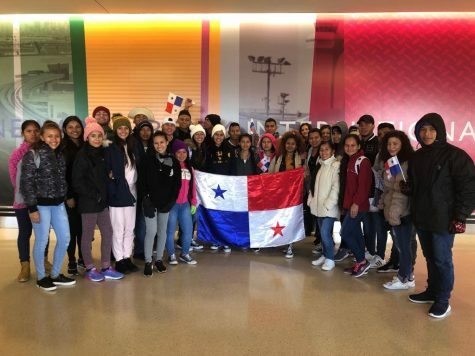 The program coordinator for International Engagement of the Medusa 10 Panamanian students at Wilkes University, Donna Novicki, thought the event would be good for the Panamanian students because she said that their culture is still traditional. “It’s still not okay to be different in Panama,” said Novicki. This event helped to show the Meduca 10 students that it is okay to be different and to start the conversation about what it means to be true to yourself and love yourself. The first step to self-love is the empowerment that you get from listening to others stories and realizing that it is okay to be true to who you are, whether or not it is what society expects of you. Any questions on this event can be directed to erica.acosta@wilkes.edu or debbie.scheibler@wilkes.edu.